Garage Roller Shutter door Locks. Home / Shop / Garage Security. / Garage Roller Shutter Door Locks. 2 Great garage shutter bolt locks to secure your door. 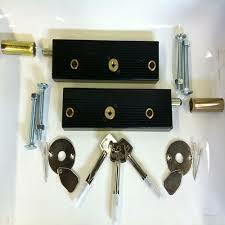 This kit of garage roller shutter door locks contains everything you need to fit the locks with. Often garage door locks are attacked in the corners effectively folding the door back to gain entry. 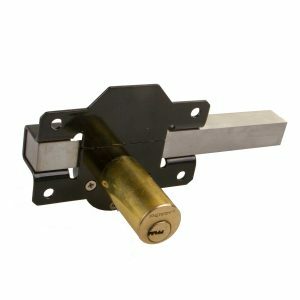 These locks fit on the inside of the door and turning the key extends the bolt into the frame. N.B Please note, the fitting instructions included on the packaging of this product state that 4 x Rivets are included with this lock. No rivets are supplied with this item.